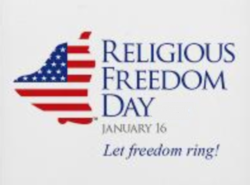 Inmates who are members of FCI-recognized religions receive the following rights and benefits: (1) “proscription days” for religious holidays; (2) at least one hour of classroom/study time a week; (3) at least one hour of worship time each week; (4) the ability to congregate with other members of the religious group. Humanist inmates cannot meet in study groups in the same way inmates who are members of FCI-recognized religions can meet. 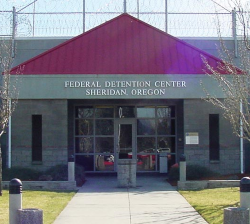 Humanist inmates at FCI Sheridan have no venue for meetings. Atheist inmates at FCI Sheridan have no venue for meetings. Inmates are not allowed to assemble in groups of more than four at recreation. FCI-recognized religious inmates are permitted to meet in groups of more than four to discuss their religious beliefs with each other during a designated time period. You can see the problem here. 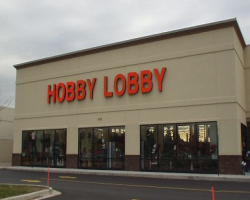 If you say you’re religious, you get a number of perks not afforded to non-religious groups. Atheism is not a religion; Humanism, arguably, is. But since the Federal Bureau of Prisons didn’t give Humanist inmates that option, they were left without a religion that accurately described them — as well as the perks they would otherwise be granted. I should point out that not all Humanists agree with this decision. They don’t believe Secular Humanism (under the Humanism umbrella) ought to be classified as a religion, though they agree Humanists should be treated the same way as religious inmates. It’s a subtle, but important, difference. This is more of a philosophical question, of course, but it could be relevant if this case is used as precedent in the future. The issue of Humanism being a religion has been a major debate point between members of both sides of the argument. Some Humanists refuse to say Humanism is a religion for fear of getting more flack from religious right nut jobs like Rev. Pat Robertson or Tim LaHaye. Humanists that support Humanism being considered a religion come from the Religious Humanism branch like the Unitarian Universalists. I did disagree with some of the line of argument that the AHA used in their lawsuit where it relied on the “religious” history of Humanism while only touching briefly on the current, more secular, version of Humanism we see today. Humanism has “celebrants” and “chaplain” only to receive the same perks theistic ministers and chaplains get from the government such as performing a wedding or being able to counsel patients in a Hospital. I think that is how Humanism should be treated by the government. Equal treatment for world views should be the norm and not an exception.